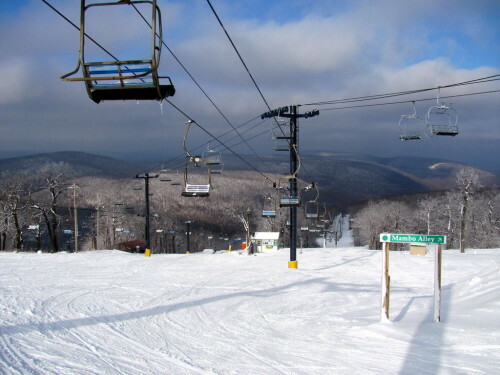 Went to Blue Knob a couple weeks ago, which some Web site (not mine) says is arguably the second best skiing in the state (first is some place in the Poconos, which isn’t very close to here). Haven’t had much snow this year, the place is out near Altoona, so it was a 2:15 drive (hours and minutes). The place is basically the same as Whistler. Top of the hill. This is taken from the parking lot. I mean, the *parking lot*. 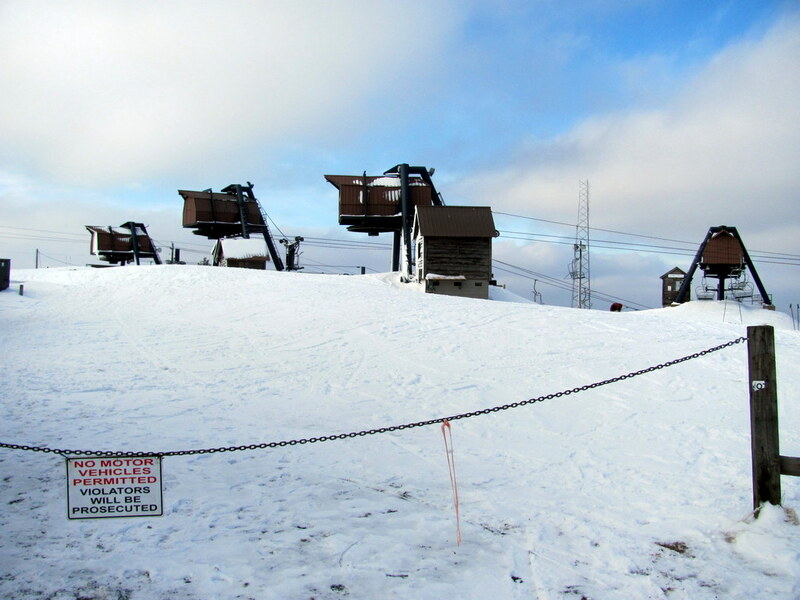 Do the tops of these lifts sort of look like the at-at walkers from Empire Strikes Back to anyone else? Maybe it’s just me. See? From the parking lot. 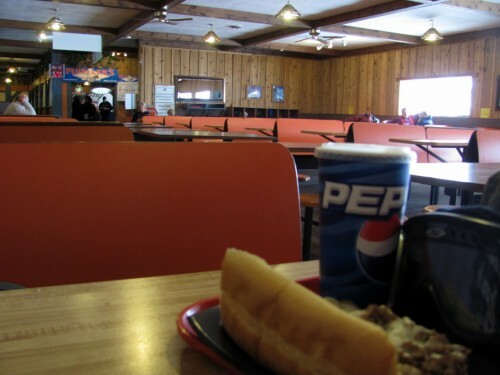 This is the interior of the lodge. The sushi chef had the day off, so I stuck with the cheesesteak. I’ve never actually been to Whistler. Condescending photo captions aside, this was a very fun day and a great place to go skiing. 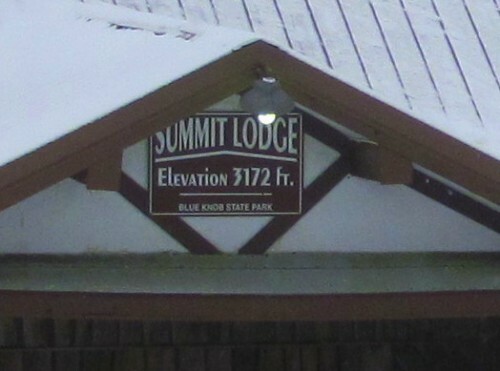 Unlike Seven Springs (the other PA ski resort I’ve been to), Blue Knob has more and colder snow. By the end of the day nothing had turned to ice. 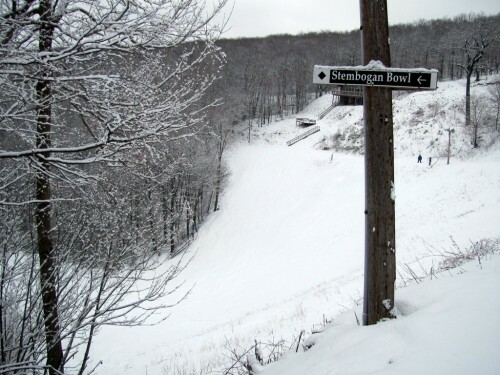 It’s also higher, steeper, and has longer runs. Also, since it’s primarily pulling people from Altoona and not mighty Pittsburgh (let alone Philthadelphia), there aren’t a whole lot of people up on the hill. I.e., there are no lift lines and most runs you have all to yourself. The expert terrain was closer to being expert-like terrain (although a lot of it is on the bottom half of the mountain, where there’s less snow). Relatively speaking, the place is *cheap*. $38 for all day or $32 for a five-hour pass (any five hours, the clock starts when you buy the ticket). It’s cool to be able to park 100 feet away from the top of the hill. No mile-long slogs back to the car at the end of the day. If you decide you want to change from mitts to gloves, I mean, your car is just *right there*. It’s like parking at a bowling alley rather than parking at Disneyland. 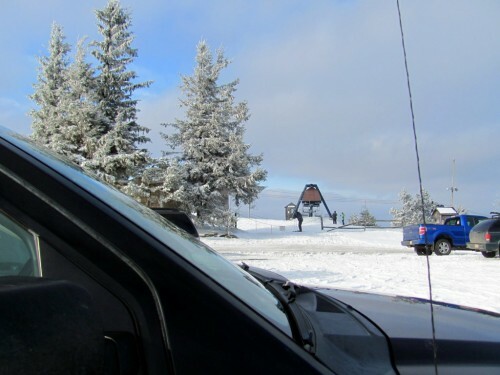 Maybe I have unusual car-separation anxiety, but it’s nice to be able to see your vehicle every time you get off the lift. Because, seriously, the parking lot is at the top of the hill. That’s how we roll here. Totally worth the 2.25-hour drive.